The Dayton Memorial Library will be closed on Monday, September 1st, in observance of Labor Day. Regular hours resume on Tuesday morning. The Archives will be closed all day this Thursday, August 28th, and half day on Friday, August 29th. Archives will open at 11:00 a.m. on Friday. The Archives will also be closed Tuesday, September 2nd. The department will reopen at 7:30 a.m. on Wednesday. The Prospector catalog will be unavailable on Tuesday, August 26th, from 7:00 a.m. – 11:00 a.m. due to a server upgrade. Hours for the spring terms begin Monday, January 5, 2015. Sunday: 12:30 – 9:00 p.m.
On Monday, August 18th, the Library’s website platform will undergo an upgrade beginning at 8:30 a.m. This process involves some potential downtime for the site, it may take anywhere from a few minutes to a few hours for changes to propagate through. We appreciate your patience during this transition. The elevator in the Dayton Memorial Library will be unavailable on Thursday, August 14th from 6:30 a.m. – 9:00 a.m.
Prospector will be down from 5:00 pm Mountain time until late in the evening August 12th due to necessary hardware maintenance. Services should be fully restored by Wednesday morning. Volume is a new local music project from the Denver Public Library that will allow Denver Public Library card holders to download and stream music from local bands and musicians, DRM-free. Read more about the project here. You’ll find music by Time, also known as Chris Steele, and Maudlin Magpie, featuring Jason Horodyski and Lander McLees. Chris, Jason, and Lander are staff in the Dayton Memorial Library. Take a listen now. 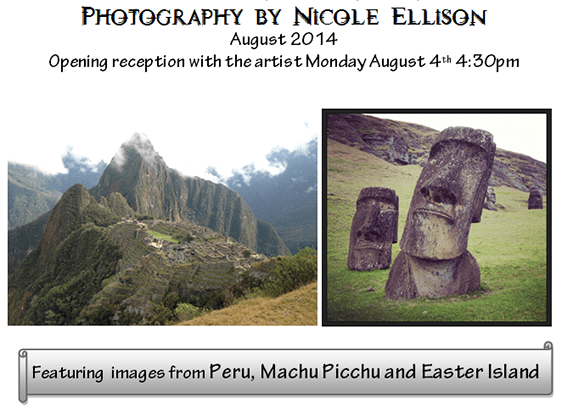 A new exhibit featuring the photography of Nicole Ellison is on display in the Hartman Gallery through the end of September. The opening reception with the artist is Monday, August 4th, at 4:30 p.m.
You are currently browsing the Regis University Library news blog archives for August, 2014.